Like most of the critters at the ranch, some cowboys are smarter than others. Tom happened to be one of the smarter ones. He and Sue Ann worked together almost every day on a big ranch. He had figured out that at some point during the day the cattle, the horses or the hired help would do something that would require him to yell at Sue Ann. I’ve mentioned before that a cowboy has this tendency to bark orders or some random correction at his wife so that the people that need to hear it won’t be offended but will still become informed. Sue Ann’s historical reaction to this tactic wasn’t something Tom recalled with pleasantries. In view of the fact that most days she was the best help he had, he considered several options of minimizing the effect of his methods. One morning at breakfast he decided to “pre-apologize” for any mistakes he might make during the day. A pre-apology could and would cover almost everything, save time during the working day and enable him to be comfortable in his recliner at day’s end while she fixed supper instead of using that time to soothe her at the saddle house. What goes up must come down is not a solid physics theory when it comes to cattle, and especially yearlings. Sometimes the mistake of parking a semi-truck of cattle to be unloaded with the trailer pointed downhill makes for an exciting moment. Nothing short of a thunderbolt will stop the stampede before they get to the bottom. Give those same cattle a hill or mountain to climb and they’ll find the top and take up permanent residence without any intention of coming back down unless, first, it becomes their idea. When it’s their idea, especially if you get a bunch of them gathered up on the top of the hill and pointed downward, refer to the previous paragraph and thunderbolt theory. On this particular day, Fall was approaching. Tom and Sue Ann had started moving the cattle from the high country to shipping pastures at lower elevations. The hired help had gathered up as day was breaking, slickers tied to the backs of their saddles for the inevitable afternoon showers. Tom, Sue Ann and crew worked their way up the mountain trail to get above the cattle. Yearlings can be pretty snakey in the brush. They have been known to sneak around behind the riders or even end up on the side of a cliff-like place where the only method to get them to move is the very un-cowboy method of throwing rocks at them. That is one of those cowboy skills you don’t hear talked about much. When a sizable bunch had been collected to a clearing, the hands started moving the cattle down a steep ridge top complete with plenty of rocks and deadfall. Sue Ann was riding point to the left of the front of the herd, charged with keeping them headed in the right direction. As will happen, something that nobody but the cattle saw or heard, spooked them and the race was on. At a dead run downhill they ran but, of course, not in any direction they needed to be going. 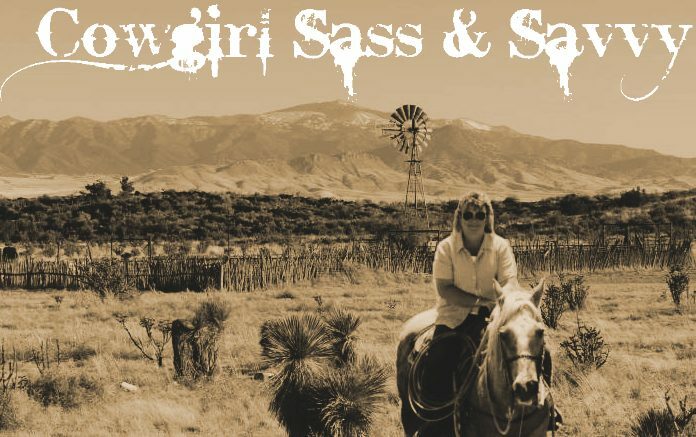 Sue Ann jumped up in the front of her saddle and rode hell-bent-for-leather through the treacherous steep terrain trying to head the cattle. In a effort to not kill herself or her horse in the rescue, she did have to pull up in a few places and select a less lethal path through a natural gauntlet of dangers. Finally, a little further down the hill than Tom had planned, everything came to a halt. Tom, already calculating the pounds and dollars that just ran off the cattle, simply couldn’t help himself even when he knew better. He rode over to Sue Ann and asked her why she let the cattle run and why she didn’t get them stopped sooner. It was good thinking on his part that he had already pre-apologized. Julie, counting cowboy apologies on one hand, can be reached for comment at jcarternm@gmail.com.